Reproduced here by the kind permission of the author George Willis jnr. 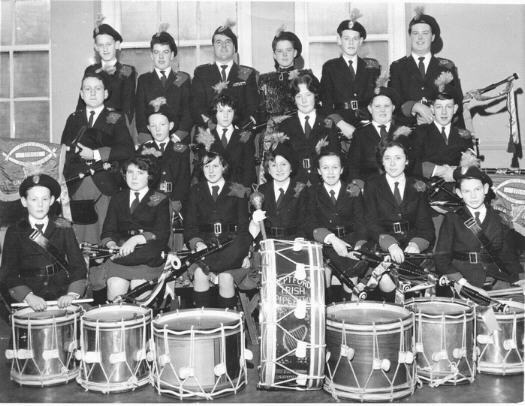 The Deptford Irish Pipe Band was founded in1957 but the Band did not consist of ex-WW2 vets but originally comprised of school children aged 9 to14 years old. The Bandmaster of this South East London Band was George Willis who had been a Company piper with the London Irish Rifles from the start of WW2 until being captured at the Anzio landings of 1944. All the Deptford Irish playedvtwo drone Irish war-pipes, the vast majority of which were made for the Band by Henry Stark in 1958. Increased security in London from 1974 onwards, as the Northern Irish Troubles and bombings came to mainland Britain, meant that outdoor functions were being severely limited in the interest of security. There was a consequent decline in the Band's marching engagements and the band became known as The Deptford Pipe Band. 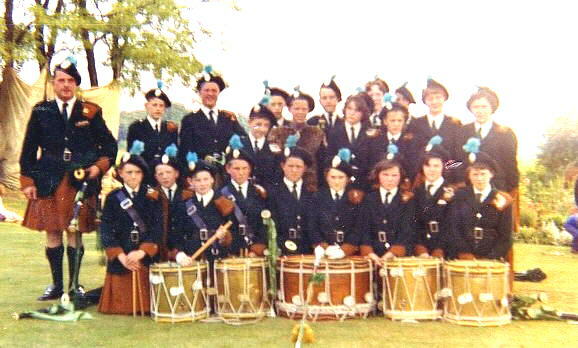 In 1990 the Deptford Band “merged” with the Borough Pipe Band - the oldest Irish pipe band in London. 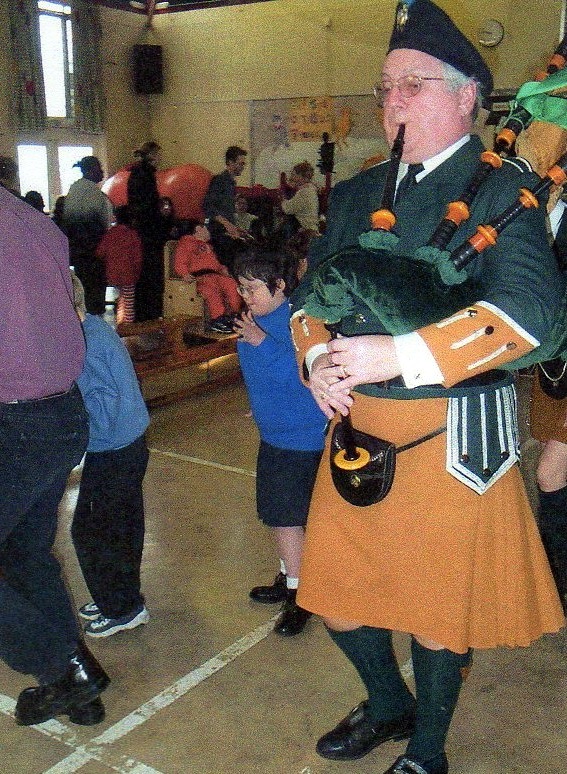 The aim was to regenerate enthusiasm in Irish piping by preparing to celebrate the Borough's centenary in 1992. Initially the merged bands flourished, with established pipers returning and a healthy number of beginners (some of whom were middle aged). During the 1950's, Agnes O'Connell (an immigrant to London from Co. Claire), provided step dancing classes to the many Irish communities throughout London. 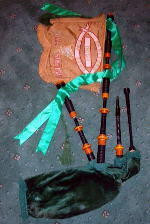 In 1956, based on the concept of the Dagenham Girl Pipers, she established The London Irish Girl Piper Band. At this time her class at Deptford was often accompanied by George Willis, who had played Irish war-pipes since the age of 10 and had since played in many Irish pipe bands including the London Irish Rifles. Agnes asked George to establish a feeder band for the Girl Pipers, but the arrangement soon fell through because boys as well as girls wanted to learn the pipes and George was unwilling to turn away any youngster. The parents in Deptford were equally enthusiastic and were unwilling to see the concept dropped. So they took over the running of the embryonic band, called it The Deptford Irish Pipe Band and asked George Willis to be its bandmaster to teach both pipes & drums. For the next two years whilst the children practiced every Sunday, their parents (having individually agreed credit terms with Starck the bagpipe maker for the supply of two droned pipes) were raising funds for 24 uniforms. The people of Deptford (one of the poorest areas in London) rallied round and attended socials, bought raffle tickets and supported jumble sales etc. From the outset the Bandmaster was intent that the band should be melodious: a tune should not be burdened with grace notes to the extent that it was unrecogniseable and drumming should underpin the natural rhythm of the piece rather than overwhelm or distort it. Initially simple melodies like Let Erin Remember & The Dawning of the Day were learnt and together with a couple of hymns saw the band make its first public appearances (with uniforms still awaited) at a series of fee earning, outdoor religious processions during the summer of '58. Since then the Band's catalog has reached nearly 200 tunes - marches, slow airs, jigs, reels, hornpipes, slip-jigs, even the odd strathspey. Most of the settings were dredged from the encyclopeaedic piping knowledge of George Willis, and tend to predate the Brigade Book of Irish Pipe Music (1949) which most Irish pipe bands call upon nowadays. The Band's two drone war-pipes were made by Henry Stark. He was the bagpipe supplier to both the British and Irish Armies and charged 16 pounds Stirling per set. If the pipes were new, the drums were not! As can be seen from the adjacent photograph the Band's first drums were rope tensioned and some had originally belonged to the fife & drum band of the local Catholic Church. Tradition had it that these had been fished out of the Thames at Deptford after they had been thrown into the river upstream at a clash during the 1926 General Strike. Other drums were obtained from bands adopting rod tensioned instruments. The Deptford Irish converted to rod tensioned side drums in the late 60's when they obtained, four second hand Carlton drums from the Pride of Murray. A new rod tensioned bass drum was subsequent bought but the tenor drums were always rope tensioned. drum emblazonment: has varied over the years and no clear photographs exist of the original hoop colours (green, white & gold) and the original bass drum shell decoration (gold harp on dark green background). 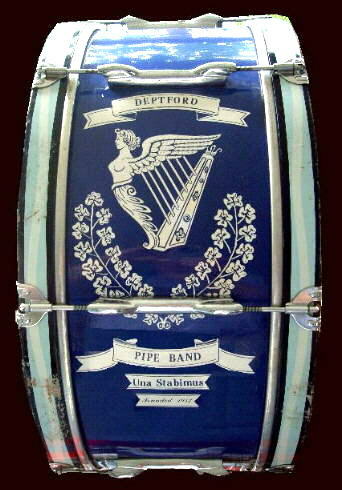 At the time of the amalgamation with the Borough Pipe Band, all the Deptford drums were emblazoned to ensure the name lived on. Despite never being sponsored or in receipt of a cultural grant, the Band was always self sufficient. The fees from engagements and weekly membership dues (which never exceeded 50 pence per week) funded its uniforms, drums, reeds, repairs, travel and even the weekly rental of its practice venue. Nobody, however, was paid for performing or teaching – everyone who participated in the Deptford Irish did it for the enjoyment. On the subject of enjoyment, the Band never sought to be a competition band. The vast majority of members regarded the Band as a once a week hobby not a daily obsession. Initially they had homework to do, then careers to pursue and then families to bring up. Those who wanted competition experience went off to other Bands. As already mentioned the Band's first engagements in 1959 were outdoor religious processions and these established the Band's reputation as a marching band. Once clothed in its vibrant uniforms the Band was much in demand throughout the 1960's and early 70's for parades, carnival processions and fetes. But increased security in London from 1974 onwards, as the North of Ireland Troubles and bombings came to mainland Britain, meant that outdoor functions were being limited in the interest of security, There was a decline in the Band's marching engagements. However at much the same time many military bands had been stood down and the Deptford Irish found itself much in demand for British Legion parades. Also during the '70's many of the original Band members were getting married and as well as piping the couple out from the church the Band often gave a performance at the reception afterwards. These tended to be very light hearted and could feature, amongst racuous singalong Irish ditties, renditions of pop tunes of the day. Engagements at social functions resulted and for the rest of the Band's existence its engagements were a mix of outdoor parades and indoor cabaret performances. The Band had many repeat bookings over the years: most noteworthy being the Italian Procession (Clarkenwell) where it performed for 45 consecutive years! In the early days, few parents had cars to take band members to engagements. So to minimise the expenses for engagements in London the Band travelled by public transport rather than hire a coach. More than one red bus conductor or underground train guard was taken aback to see their conveyance invaded by over 20 teenagers in kilts carrying pipes and drums. For jobs outside of London, a coach would be hired at the cheapest rate. One year the 'coach' to take the Band to Stevenage Carnival turned out to be a second-hand London double decker bus. As the bus made its way out of London, the engine sounded terminal, but in fairness it almost got the Band to the start of the carnival. However for the last hundred yards everyone (including those in kilts) had to alight from the bus and push it into the car park. Cheapest was not always best! The Band started as a band of brothers & sisters and it remained a family concern throughout its existence. Over the years children were joined by parents, wives by husbands (and vice versa) and one stage the Band's ranks included three generations of a family – father, son & granddaughter. It has featured 6 Corcorans, 6 Barnards, 5 Willises, 4 O'Callaghans, 3 McGuigans, 3 Turners, 2 Fowlers, 2 Dunnes, 2 Dalys, 2 Wells, 2 Poynts, 2 Smiths, and 2 Wilsons. A unique feature of the Deptford Irish Pipe Band was that there was no pipe major, no drum sergeant, no drum major – not a single stripe existed on the uniform. Pipers wore a two drone metal pipers insignia, drummers a drum insignia and the mace bearer wore no insignia. After 25 years the Bandmaster was presented with a silver embroidered pipers insignia surrounded by shamrocks which he wore for the next 23 years. For the whole of the Band's 48 year existence, Roy Wells was its leading tipper – it was his skill and good humour that earned a degree of respect that no stripe or designation could ever ensure. Roy was originally tutored by George Willis and then by Phil Williams of the Guards, but he picked up most of his technique by watching and listening to other drummers. No band history would be complete without a drummer story. .. so here we go! At one band practice, in the early '60's, the Band had worked hard all afternoon to faultlessly go from a slow march, forming a circle to a quick march, then without pausing into a jig, reel and hornpipe then straight into a march to leave the circle and counter march. Finally all had gone well and at the end even all the drones were cut out together - there was not a decibel that could hide the extra beat that emanated from the drummers. The Bandmaster couldn't contain himself and, calling on his experience of previous practices, promptly accused Peter Wilson. The drum section jumped to Peter's defence pointing out that he wasn't at practice that Sunday afternoon. This cut no ice with the Bandmaster who dismissed their protestation with the riposte that if Peter had been there he would have been the most likely culprit. tenor drummers' aprons: artificial leopard skin leg apron. Above is a fine set of warpipes with the bands banner attached. Above is George Willis jnr. The photo from 2003 shows George performing at a London Special Needs school.